Lawyer to Lawyer™, which provides a marketplace where law firms can sell, refer, buy and exchange legal work to and with other law firms, has been launched in the UK by the legal services consultancy ProFirma. Lawyer to Lawyer™ enables law firms to retain control of important client relationships, whilst also allowing them to open up new sources of revenue. Law firms, and other law professionals, with unwanted legal work are able to use the service to sell or refer that work, and receive a fee or perhaps referrals in return. Conversely, law firms and other law professionals looking to open up new sources of clients and work are able to register with Lawyer to Lawyer™ as a panel buyer. Whether law firms are selling, buying or both, they must first register with Lawyer to Lawyer™, and meet certain minimum standards, such as show a willingness to sign a non-poaching agreement where appropriate. Lawyer to Lawyer™ provides a personal, bespoke approach, with all transactions being handled over the telephone or via e-mail. As well as building and ensuring trust by vetting all registering law firms, Lawyer to Lawyer™ also qualifies all matters and cases being sold or referred to ensure they are genuine, and that they are directed only to the most appropriate advisor. Lawyer to Lawyer™ differs from other, more traditional referral services because it is open only to law professionals. 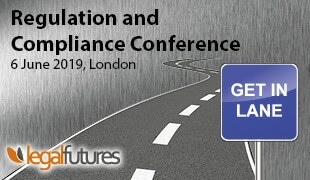 Mr Worner added: “The legal services industry is changing. New entrants to the market, with huge client lists and direct marketing budgets, are after the same clients and the same business as established law firm. Firms need to think differently, and genuinely place the client relationship and experience at the centre of their businesses.